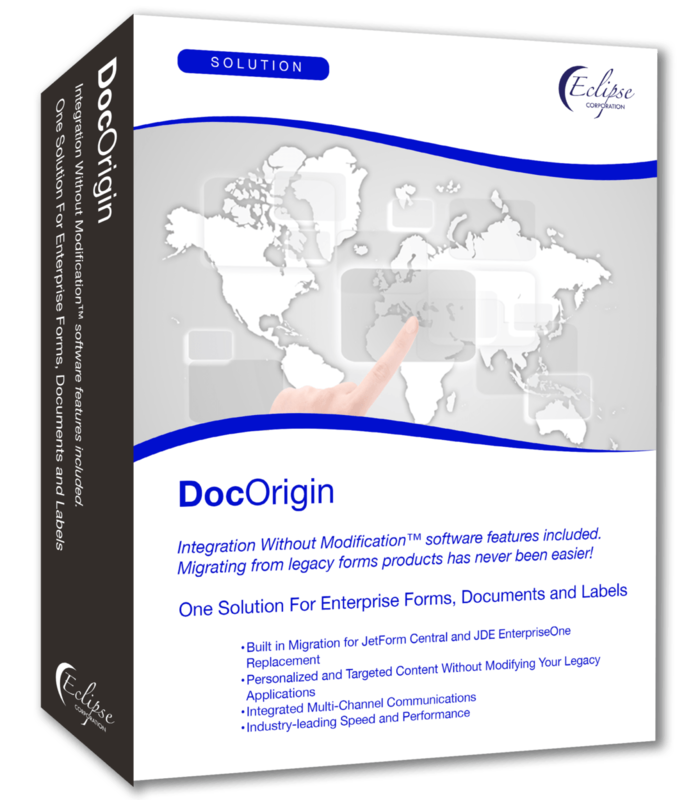 From the creators of JetForm, DocOrigin converts your document in seconds! As older, end-of-life systems like JetForm, Adobe Central and Adobe LiveCycle are retired, it is important to select a suitable replacement solution that will ensure the ability to create, deliver and manage high-value customer correspondence that will meet the needs of modern business. Many organizations struggle to meet the demands of today’s info-intense business environment due to the antiquated state of their document generation systems. We provide a path forward with automated batch form conversion tools and streamlined procedures to migrate forms quickly and accurately — minimizing downtime and conversion risks. Whether you need to produce large volumes of critical communications or just a single customer letter, you need a system that creates and manages your business-critical documents quickly, easily and affordably. DocOrigin is the answer, and is quickly becoming the solution of choice to replace Adobe Central and Abobe LiveCycle. DocOrigin is the next generation of document rendering technology, developed by the people who originally created the Adobe Central (JetForm) products. DocOrigin is as robust and dependable as Adobe Central, yet more efficient, faster, easier to work with, and is in-tune with today’s document requirements. The developer’s extensive history with forms and document production enables them to get you converted to DocOrigin quickly and effectively. From production speeds to the complex assembly of a dynamic form, DocOrigin has left no stone unturned, addressing every facet of your existing document output needs. DocOrigin Design uses open standards, XML structured templates, and no proprietary file formats. Matching parent nodes and field names is all that is required to map fields to the form. Panes, dynamic slices of a form, automatically float within a pre-defined content boundary making it easy to design dynamic, flowing forms. Panes can be defined as headers, footers, repeatable detail lines or even optional sections that only show if the data needs it. Convert to DocOrigin in mere seconds! Learn more about DocOrigin, and how easy it can be to upgrade your system from JetForm and Adobe Central. Give us just 2 minutes and 20 seconds and we will show you how incredibly easy – and fast – it is to convert an original LiveCycle XDP into a DocOrigin XATW file and create a PDF. To learn more, contact us today at Eclipse Corp.